The third novel to feature the inimitable Wooster and Jeeves The sinister affair of the 18th century cow-creamer and the small, brown, leather-covered notebook tests the Wooster soul as it has never been tested before. Friends and relations, in urgent need, queue up to beg for assistance in a variety of troublesome situations, and ruthless enemies stop at nothing in their determination to bring Bertie down. Does our hero blink at the burdens placed on his shoulders by his nearest and dearest? He does not. Does his courage fail him when he faces overwhelming odds? It does not. 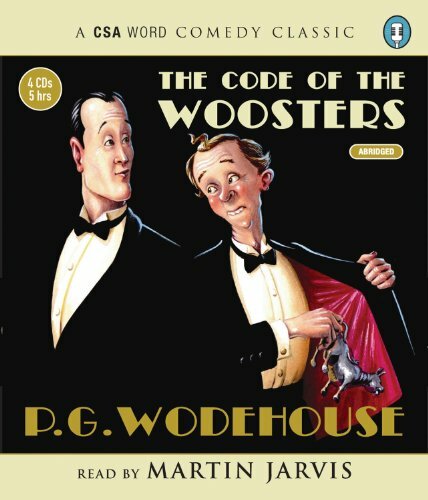 Aided by the magnificent Jeeves, Bertie Wooster looks after his pals and smites the ungodly in his own inimitable style. Abridged.